It is called the Cote D'Azur for a reason ... perhaps one of the first memories I have of visiting is the blue seas, blue skies and the general lushness of the countryside. Along with family, friends and colleagues, I have been going there for 13 years, and I am often asked to recommend places to stay, things to do, and what to pack ! Until recently it was possible to fly from Cork, Shannon and Dublin, but now, despite demand, there are only flights direct from Dublin. So it’s time to lobby Aer Lingus and Ryanair to bring back the service to regional airports. I am sure Kerry to Nice would be very popular ! The flight takes approx 2.20 minutes and normally costs around €200 return (it is possible to get it slightly cheaper if you book in advance, but prices can be as high as €500 return if you leave it to the last minute). Both Aer Lingus and Ryanair operate 2 flights per day during peak season, but although you may be tempted to book their later departures to save money, I would suggest trying to avoid getting into Nice Airport too late if you are staying in an apartment or travelling up the coastline as shops close at 9pm (or earlier) and most restaurants stop food orders around 10pm. Once you arrive in Nice Airport, it only takes 5-10 minutes to clear security and then you can either get a taxi or private transfer to your destination or the very reliable and cheap bus service. For example a taxi into the centre of Nice will cost €36 and the bus is approx €6. On this recent trip we took the bus to the into the centre and then another bus from the Port to Beaulieu and the one ticket for €6 each was valid for the entire trip. Zoe's first kiss ! There is abundance of street performances on the streets of Nice late into the night . . . If you are travelling to one of the many other beautiful towns on the Riviera - hiring a car, or taking the train would be the best option. Unfortunately you need to get a bus (or cab) to the train station as it is in the centre of Nice. However, once on the train, they are both cost effective and reliable. The Riviera is not cheap - but there are lots of options for every budget and AirB&B (and French versions of this concept) have becoming increasing popular allowing you to stay in more residential areas and in more authentic apartments. If you love design and architecture, there are some truly charming and historic Belle Epoque houses (and apartments within them) for rental, as well as more modern apartments. The Riviera is home to some of the world’s best (and most expensive) hotels - including Hotel du Cap Eden Roc, Negresco, Beau-Rivage, La Reserve and the Royal Riviera (and so many more). All worth popping in for a coffee or a glass of wine, just to experience the ambience. I would recommend staying as close to the Promenade in the direction of the Old Town, and not too close to the Airport or the Port. If you are going for a week, ideally it is best to stay 2-3 days in Nice and then head out to Villefranche-Sur-Mer, Beaulieu, Saint-Jean-Cap-Ferrat, Eze (in the direction of Monaco) or Cannes, Antibes (in the direction of St. Tropez), for a more ‘full’ Riviera experience. On our very first trip to the Riviera in 2005, we stayed in the magnificent Royal Riviera in Beaulieu. We have also stayed in Residences (similar to boarding houses), AirB&B's, small hotels and truly beautiful Belle Epoque homes. There is something for all tastes and budgets. There is a really good Zara both in Nice and Cannes if you are stuck ! If you want to make your life really easy, I recently discovered a new Irish design label, Tea and Madeleine. It's creative director, Fiona, lived for a number of years on a Riviera and has created a complete resort collection influenced by the elegance of the French Riviera in 1930s. In essence it is the perfect 'ready to wear' Riviera wardrobe - with a number of key pieces including day dresses, wide legged pants, fitted white jackets and evening halter neck gowns (www.teaandmadeleine.com) all made from ethical silks, linen and cottons. The good news is these pieces are highly versatile and can be also worn here at home. There is always something going on - from free concerts in the town square, to art exhibitions - and endless fire work displays. Traditionally styled paper posters are always displayed in coffee shops, walls and bars, or pop into your local tourist office. The French are much more environmentally aware than us - and this is noticeable in most aspects of their lives. I instantly noticed that they were not all walking around with plastic water bottles in their hands (there is a pump in every town square delivering fresh water - so it is accessible. We need to bring back our local water pumps!). There also don't spend all their time on the phone or taking selfies. In restaurants, people actually spoke to each other instead of tapping away on their i-phones. I don’t know why they call them yachts - as they have no sails ... Watching them over a number of days, it was rather like children posturing in a playground as to who had the biggest and best toy, as they literally ‘motored’ around the ocean. It's all very James Bond - with helicopter pads, cars, service boats, jet skis etc . David Geffen, Super Yacht - "Rising Sun" dominated the view during our last stay. My yacht is bigger than yours . . . If this is your thing - you will also enjoy the cars! Customised Jaquars, Rolls Royce, Mercedes, Maybach in bright purples, yellows, sky blues and metallics - nothing understated ! 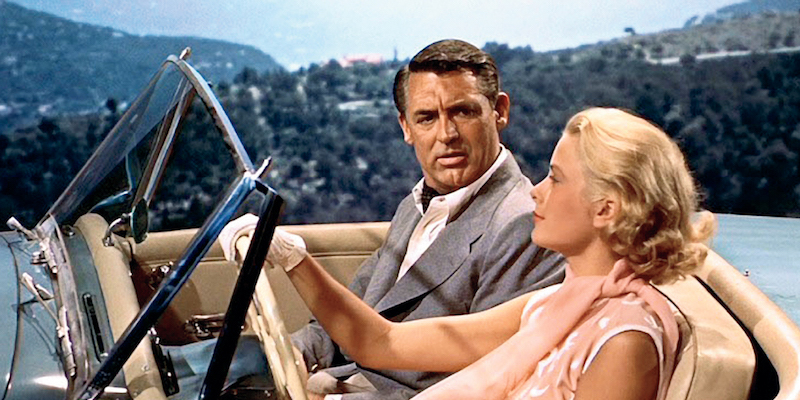 The Riviera has been the playground of the rich and famous - and those who want to be - for over the past century and images of Coco Chanel, Brigitte Bardot, Audrey Hepburn, Grace Kelly and so many more have become iconic. The French Riviera is not like a sun holiday in Spain or Portugal. So if this is what you are looking for - then it may not be for you. The vibe is very laid back, fun, but grown up. Again this very much depends on your budget and where you decide to eat! Now this what I call dining out in style ! 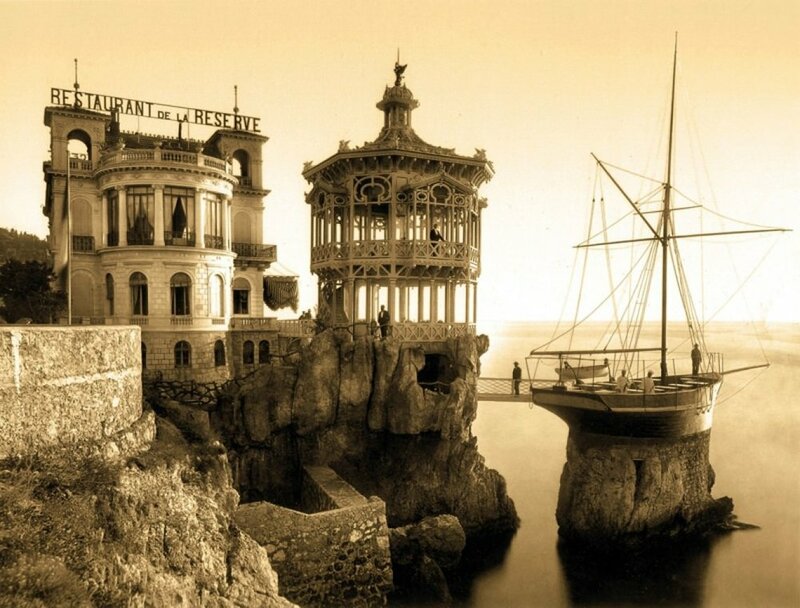 We spotted this photograph on the walls of the Rothchild villa and after some research discovered that this iconic restaurant is still in Nice and the jutted headland was also used as a diving board. We will be visiting when we return - so I will keep you posted. The popular haunts by ports and in the centre of the main towns can be overpriced and the food (particularly the meat) is definitely not as good as Ireland. The wines are as expected superb - but again always ask for a taste before buying the bottle. 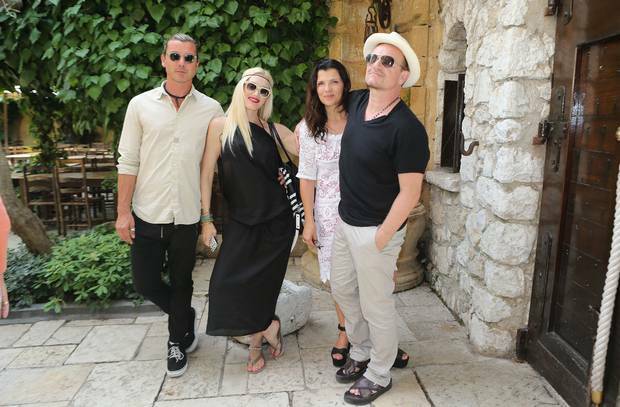 Many years ago, we stayed in the town of Mougins - which is celebrated for its exceptional food. Honestly, I was bored silly after two days and we started to head down to Cannes (approx 25 minutes by bus) to see some life. That said, it is certainly worth a two night stay for something a little different from the coastline. Ocopussy . . . I ate it with my eyes firmly closed - but it was delicious ! I love the mornings when I can pop down to the Boulangerie for freshly made pastries, cakes and meringues. Local markets and specialised shops also do a wonderful selection of local cheeses (to accompany the wines of course). Surely one of my 5 a day . . . one of the many freshly made tartlets I had for breakfast. 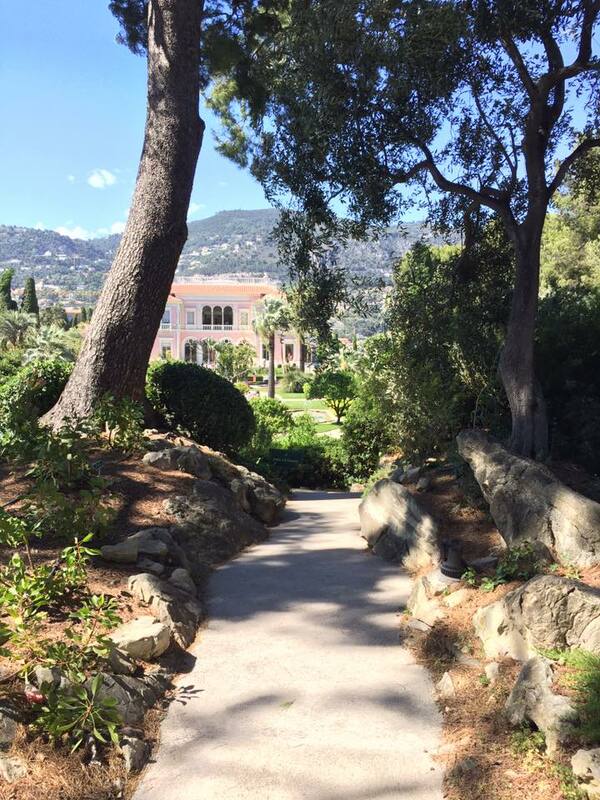 Begin in Beaulieu sur Mer and take the walk around the coast (via David Niven’s former home) and turn upwards towards Villa Ephrussi de Rothschild which majestically sits centrally on this pensinsula with spectacular views of the coastline towards both Monaco and Nice. Entry is €12.50 for both Villa and the 9 curated gardens. Make sure to rent a headset and pay particular attention to the photographs on the walls. 2. The Old Town in Nice (and pay a visit to the Castle Hill waterfall and old graveyard above the old town) - followed by a walk on the Promenade des Anglais. The square in the old town is also home to markets in the mornings and lots of restaurants for dining all year around. You can walk up from the train station to the Palace (it is a rather steep walk) and then to the voice of Prince Albert, tour the palace. 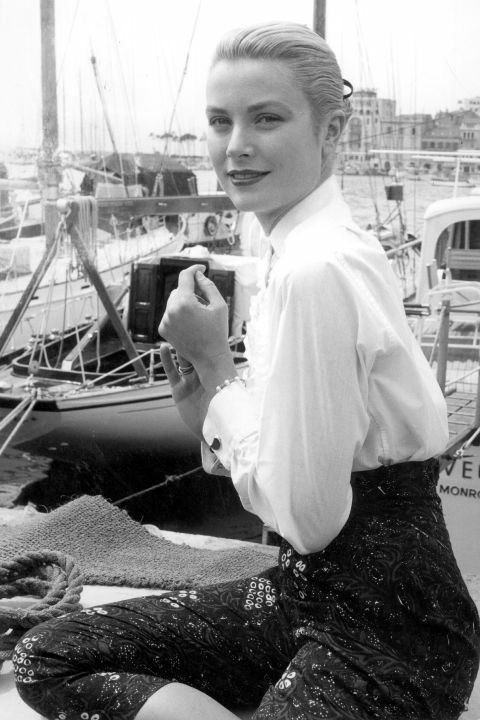 Princess Grace married Prince Rainier in the church (and they are now buried there). On the way down, you can visit the Monaco Aquarium, and then walk down through the main town and port (full of yachts and instantly recognisable to those who love Grand Prix) and up to the Monte Carlo Casino and the Cafe de Paris, where you treat yourself to a delicious (if rather expensive) ice-cream Sundae and enjoy the view. Having been to Monaco many times, I think it is worth a day visit - but not staying overnight. It is very built up (every inch of land is utilised). 4. 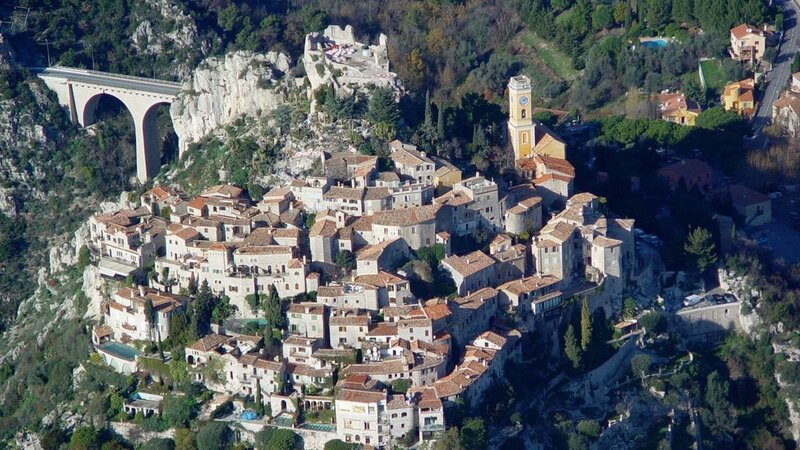 Eze - a medieval village with spectacular views of the Riviera coastline. (If using public transport, plan your visit carefully as bus times to and from Eze are not frequent and you may have to access from Eze sur Mer). There is some really good restaurants for lunch and although you can book accommodation, it is over priced and there is not a lot happening there at night. Ventimiglia backstreets. When you arrive in Ventimiglia walk straight down from the train station through the town, over and bridge and onto the beach which has lots of lovely eateries. Then explore the old cobbled streets - you will deserve an ice cream afterwards ! 6. Swim on the Paloma beach in Jean - Cap Ferrat followed by lunch at the Palomo Beach Club . This iconic beach is now open to the public and it is definitely worth having lunch in the restaurant and just pass the time watching swimmers jump off the old traditional pier into the sea and the gaze at the yachts - all those yachts! 7. Walk around the town of Antibes around the castle walls and perhaps visit the Picasso museum. 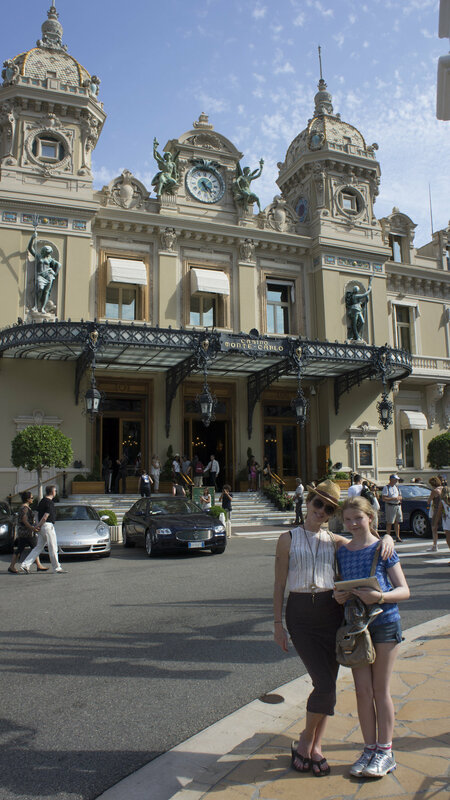 The author F. Scott Fitzgerald lived in what is now the Beau-Rivage in the late 20's with his wife Zelda and daughter Scottie and the location and lifestyle inspired his work including the Great Gatsby and Tender is the Night. For the non literary, the town is a hive of activity with lots of wonderful boutiques, eateries and coffee shops and a wonderful beach. 8. Explore the markets - with fresh fruits, flowers, cheeses, clothes and antiques. We have visited the markets in Cannes, Nice, Beaulieu and Antibes - but every town has one (just remember they normally are over by 12 noon). 10. Relax and soak in the sun, the ambience and the glamour of the Riviera. Room with a view . . . I spent a lot of happy mornings tapping away on the Macbook overlooking Beaulieu-Sur-Mer. The food in the supermarkets is rather similar to Ireland - and costs about the same. Wine, Gin, Beer and Champagne are cheaper. The prices in restaurants varies a lot depending on location. Tipping is expected ! It’s still impossible to find a good flat white ! The closest is a Cafe Creme - but this is still rather a frothy, bland affair. Best to order an Expresso. If you are bringing young children - it’s not as child friendly at night as Spain or Portugal. Bring your own food abroad the plane. You can buy really nice Sushi and seafood plates from Wrights in Dublin Airport or pick up a roll. Unfortunately the menu on the plane is still mostly junk food. I have always found the French to be most welcoming and helpful. However, it is a good idea to learn off a few basic phases as you are in France! If you are missing home and Irish pub life (or want a fry up, a decent cup of tea and a good pint of Guinness) - then visit Ma Nolans bars - either in the old town in Nice or the Port and in Cannes. (http://www.ma-nolans.com/). Saying goodbye on the last night . . .